The exact origins of the art are unclear, many believe the Shaolin Buddhist Nun Wu Mei created the system, basing it on techniques required to overcome opponents of greater physical capacity, making it especially relevant for women.There are limited kicks and jumps, and the system's main focus is on fist,palm and claw techniques, which aim to cripple or kill opponents. An amalgam of several creatures, including monitor lizards, pythons and the Chinese alligator, the polymorphic dragon was a water spirit, responsible for bringing the rains and thus insuring the survival of crops. 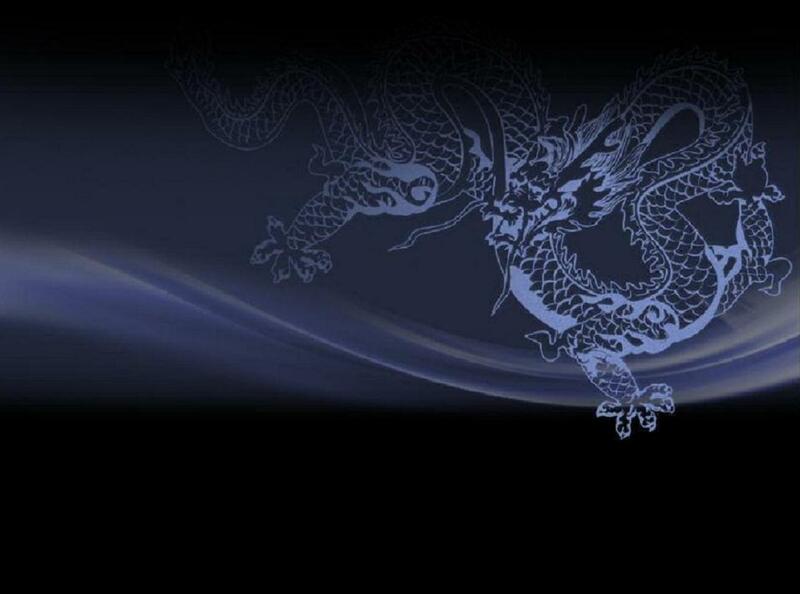 The dragon was symbolic guardian to the gods, and was the source of true wisdom. This latter feature most likely resulted from the observation of the living reptilian counterparts which, usually at rest, seem to be in a near constant state of contemplation. The dragon represented two of the ancient elements, Earth and Water, endowing the creature with powers of illusion and strength. A Yang symbol, the Taoists saw the dragon as a personification of the Tao itself--"the Dragon reveals himself only to vanish." Shaolin Buddhists saw him as a vision of enlightened truth, to be felt, but never to be held. Certain very old men were called dragons, these being well versed in the life-supporting skills of herbal medicine, agriculture, and kung fu. In early China, these skills were surely a matter of life or death, and those so educated were held in high esteem. Once a purely physical semblance to flow has been mastered, the disciple incorporates the deep hissing sounds to train ch'i flow. Inhaling is silent, but exhalation is deliberate, tense and controlled. Inhaling lightens the body for aerial maneuvers, while exhaling drives power into each technique. Blocking is dispensed with, and parries or simple strikes substituted. At this point, novice and advanced student show very little in common. On the highest level, an opponent is allowed to tire himself out, evasion becoming the Dragon's key defense. Qi control is highly developed, and the degree to which the body must be moved to redirect or avoid impact is under greater control. In each form, one is taught to "ride the wind", a phrase which in large part means follow rather than lead. Provide no opening without first letting your opponent open. Unlike Crane, which also relies heavily upon evasion as a tactic, the Dragon evades primarily by rotation of upper or lower torso with little or no stance movements, while the Crane stylist hops frequently to reposition the entire body. Both styles employ pinpoint strikes to vulnerable meridian targets, but dragon also heavily uses tiger-like punches and clawing techniques, snake-like stance shifts, and leopard-like hit and run strikes to weaken a physically superior adversary. 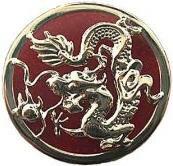 Dragon kung fu also regularly employs low sweeping techniques, but these are not unique; most senior stylists of any kung fu system use these on a weakened adversary. Restrain one's self and yield to others not because one is weak, but to uphold the ethical Tao and let the others have their claim. Focus to train and condition the body. Be righteous and uphold your honor. Respect your parents, honor your teacher. Treat others with honesty, treat your friends with loyalty.